It’s easy to find Seattle’s elite strolling Leavenworth’s fancy walking streets, but the intrepid observer sees another type of visitor among the throngs: the dirty adventurer with ropy calves and greasy hair plying the herd of clean city folks. They’ve been climbing or biking all day and now they’re hungry for Leavenworth’s great beer and food. Leavenworth is a cute German-themed town full of touristy offerings, plus it has incredible adventures hidden in its surrounding mountains. We found it to be exceptionally good for van life and lingered longer than we originally planned. We lived in Leavenworth for a month in our van and we began to notice a few other vans which also seemed to be enjoying an extended stay in the area. There are nice places to park near town on forest service land. We were given free water at Dan’s Grocery Store when we did our shopping, and there were many places around town to get rid of garbage. These things make van life much easier! Leavenworth is a gem. Here are our favorite activities we enjoyed during our month there. During our last week in Leavenworth we honed in on our favorite ride at the local ski resort. It’s a new one which doesn’t have a name yet, so for now I’ll just call it the Butter Loop. 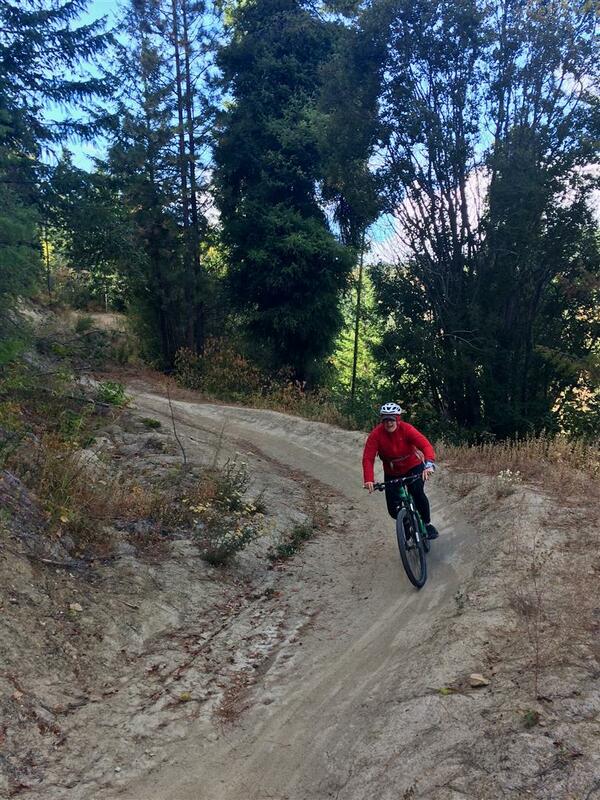 I found it by talking to a local who helped create the new uphill section of this loop as well as many other trails in the area. Kudos! You created something very special here. 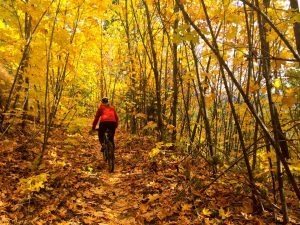 The Butter Loop is the perfect short ride, with 6 miles of buttery, singletrack trails. 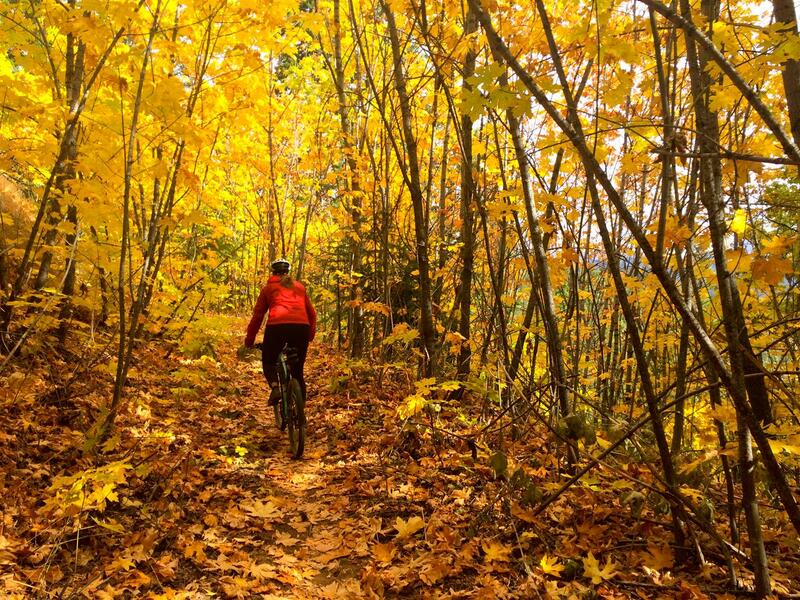 It begins at the Leavenworth Ski Area with a steady, 1000 foot climb through the forest on a new, unnamed trail. 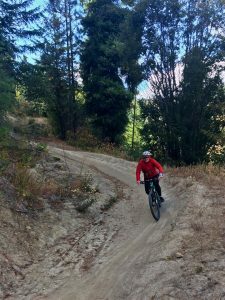 Next you roll along a ridge with great views, then descend a section of Freund Canyon with well designed, super fun berms which go up and down like a roller coaster. 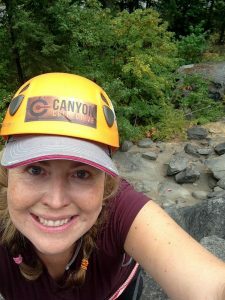 The alternative to this fun roller coaster romp through Freund Canyon is a more challenging ride on the parallel Rosy Boa trail, but personally I found Rosy Boa to be too much! It had some very steep drops. Be cautious with choosing the Rosy Boa Trail. 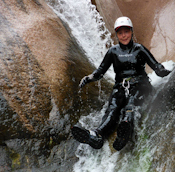 The Freund Canyon loop is an oldie and a goodie, too. It begins and ends on Freund Canyon Road near town. The only reason I like the Butter Loop better is that Freund Canyon includes about 500 feet of climbing on a dirt road, and I prefer the pure singletrack of the Butter Loop. We heard about other great rides nearby at Horse Lake and Sage Hills, but didn’t have time to go there this trip. Next time! I love it that after a month in Leavenworth we continued to hear about new places. 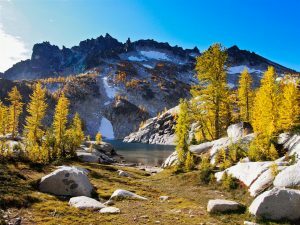 The challenging and breathtaking 18 mile trail through the Enchantments near Leavenworh can be done as a one day hike/run. There is even a shuttle company to move folks from the lower trailhead to the upper trailhead at convenient times for only $10/person (https://loopconnectorshuttle.com) as well as a great private taxi service which can do the same (www.leavenworthshuttle.com). 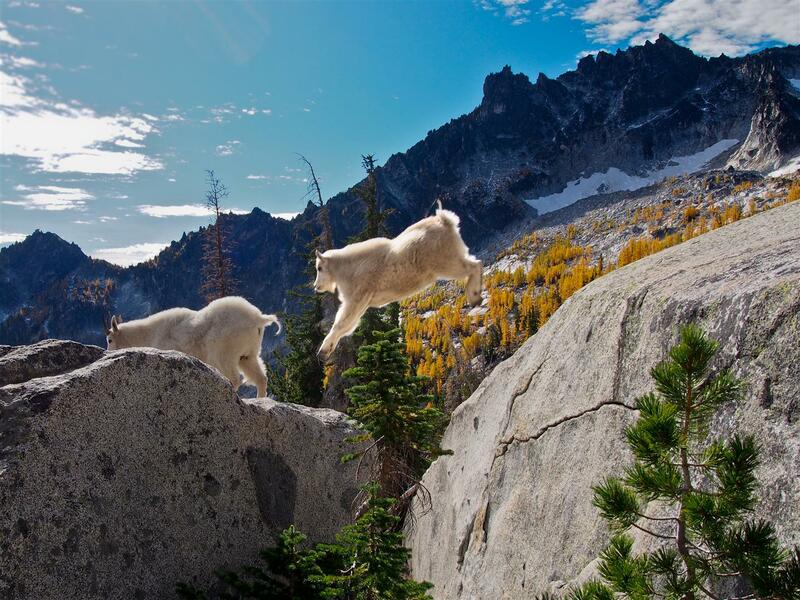 The terrain is very challenging on both Snow Lakes Pass and Aasgard Pass, but the fantastic alpine zone and friendly mountain goats are incredibly rewarding. Go prepared with a headlamp and extra layers at the very least. This is a serious endeavor! Another alternative is to hike up into the high country and then back out, beginning and ended at the Stuart Lakes Trailhead. We did this one day. and it took us 12 hours to go fifteen miles with about 4500 feet of elevation gain. This hike included climbing up Aasgard Pass and then going back down it, which was crazy. We saw some beautiful lakes and mountains at the top of Aasgard Pass, but it really just made us thirsty for more. The trail run through the Enchantments is the big one, but there are other great places for trail running or hiking like the Leavenworth Ski Hill and the Leavenworth Riverside Park. 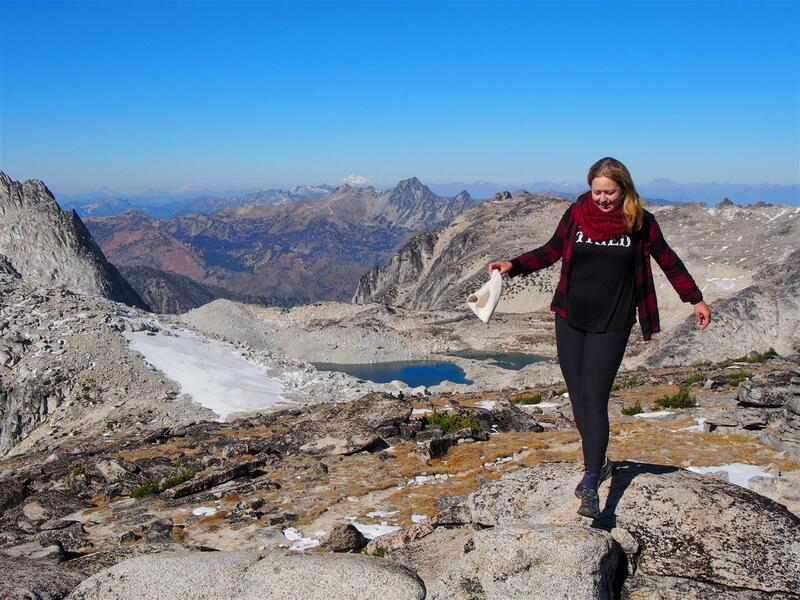 The Enchantments hike is best done as a backpacking trip. 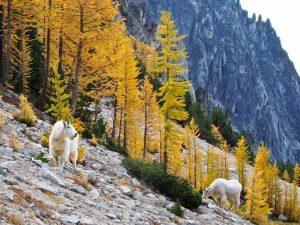 The Larch trees create some of the finest fall scenery in the state when they turn bright yellow in fall and we wanted to spend more time in this stunning area, photographing the landscapes and animals. We had to be persistent to get a last minute permit for this hike. Each morning the forest service office in Leavenworth draws a name for permits to camp in the Enchantments and it can be very competitive. We went there three mornings in the middle of the week to try our luck at the lottery and each morning there were a half dozen people competing for a few permits. The first two mornings we lost the drawing, but the third morning we won! Our four day backpacking trip in the Enchantments featured surreal beauty and relaxed mountain goats enjoying their alpine paradise. 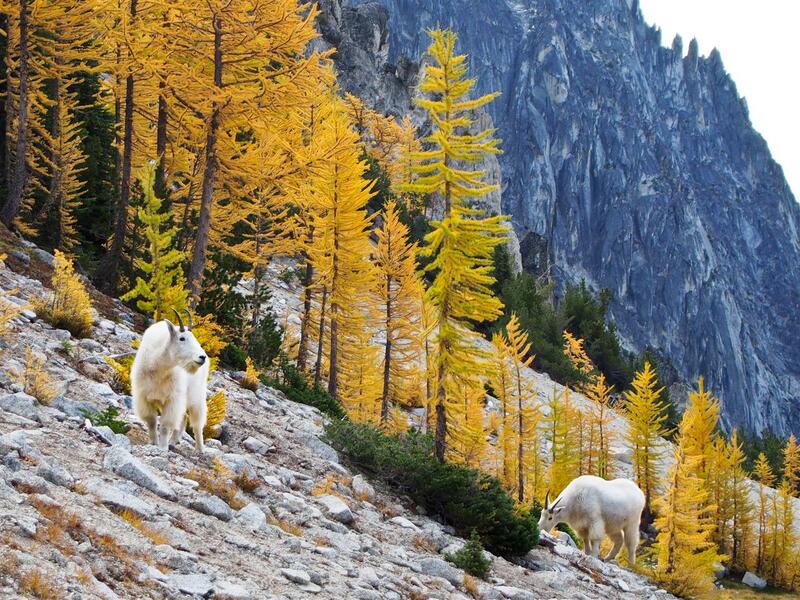 The larches were stunning and we had great weather. We climbed a peak in the backcountry called Little Annapurna, following nice granite slabs much of the way to the summit. Climbing Little Annapurna was a highlight for both of us. Leavenworth is the climbing capital of Washington. We enjoyed nice climbs on granite near Icicle Creek and saw many people bouldering. We found the rock in this area to be good quality. There’s a helpful guidebook for this area but it is currently out of print. The nice people at Leavenworth Mountain Sports have a couple copies you can rent by the day. 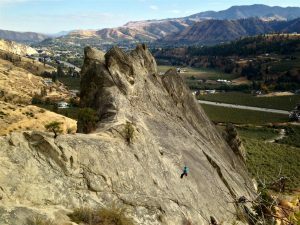 We also went to Peshastin Pinnacles to explore the sandstone routes and found varying rock quality there. We found some good rock and some very crumbly kitty litter. After we explored the easier climbing options around town we decided our favorite spot was Playground Point near the Icicle River. 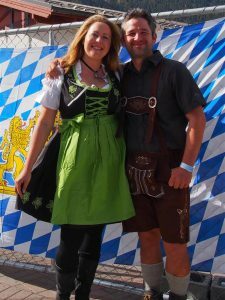 If you happen to come in October the town of Leavenworth erupts in merriment for three weekends in a row for Oktoberfest. Everyone celebrates with beer, Lederhosen, Dirndls, German food and dancing. This festival has a very celebratory mood and is a lot of fun, especially when you dress up! So, there you go! 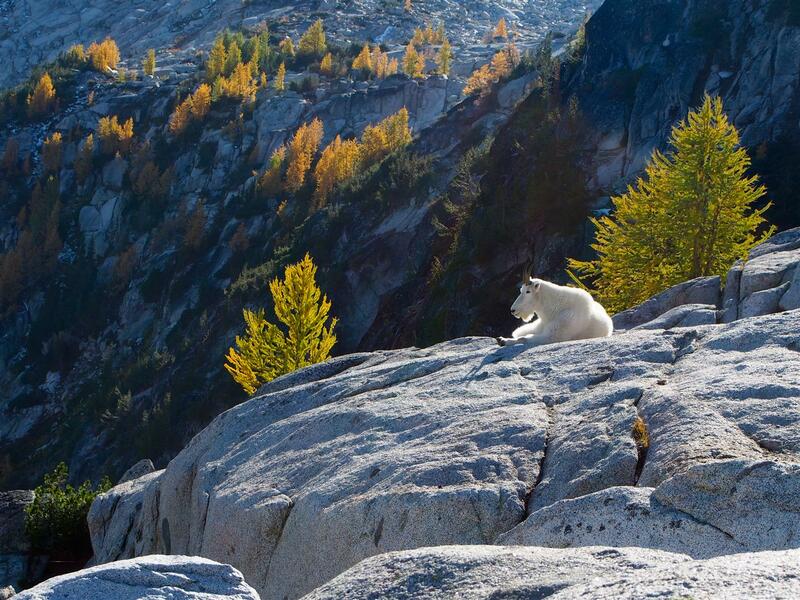 Leavenworth is the perfect place to enjoy beauty, adventure, mountain goats and van life. The town is also delightful and we’ll definitely be back.